Welcome to everyone who reads here! 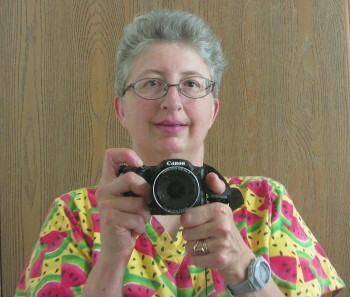 My name is Laurie Kutil and I love to write and take pictures. Also to explore the world around me with my husband Alvin Kutil. Al also takes pictures at the places we visit. My day job is cooking at an institution. When I am not there, I am perfecting my photography. Al is retired and greatly enjoys our adventures together when I am off work. We met on July 9, 1997 and were married July 24, 1999 and our first adventure was our honeymoon to Florida. 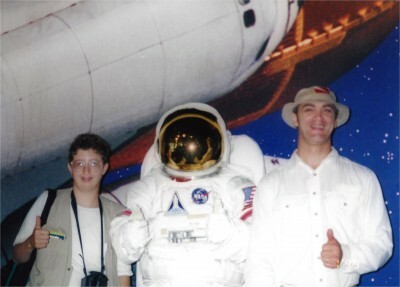 Our first “crazy character” picture is with an astronaut at the Kennedy Space Center. While growing up, couldn’t help but notice my (late) Grandpa Norman R. Braton was always taking pictures and shooting video with his Super-8 film camera. I am the oldest of his 5 grandchildren. 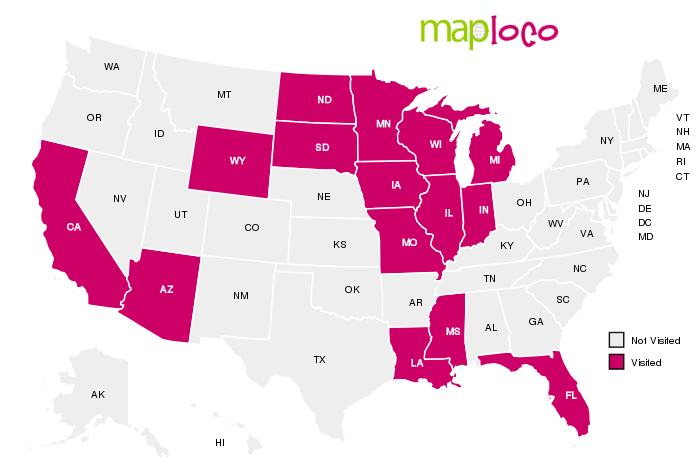 My family moved to Madison from Illinois in 1984, when I graduated from high school. He taught me the importance of recording events, family and otherwise. I took pictures and shot video, but wasn’t really GOOD yet. Still taking shots at random and hoping for the best. Now I’ m composing shots well in advance with the help of Google Earth 🙂 and continuing to study my craft. Digital photography finally came on the scene and I got my first digital camera in 2004. The resolution was bad and pixels small, but I began to practice in earnest. Getting film processed was expensive and finally that roadblock was lifted. I could now take a picture, look at it immediately. If it was bad, I could take it again if it was a static subject. 2010 was the year I really began to notice my work improving when I pre-planned shots with advance composition. I am now on my 6th digital camera, a Canon EOS Rebel T6i that I got in 2016. My techniques are continuing to improve. I have also made some great strides in post-production graphic design as well. In 2015, Adventures in Travel now has a logo. 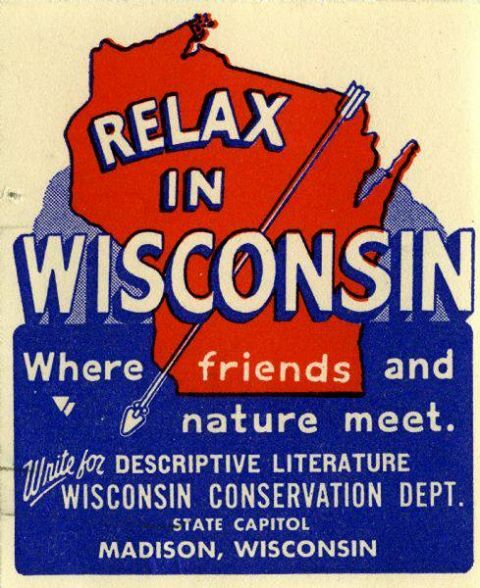 Thanks for joining us on our journeys, Wisconsin is really a great state to live in and explore! It’s very nice to meet you. I’m certain your photos will give me many days of pleasure. Is it possible to save these so I can make them a screen saver? Hi, thanks very much for your input. Just right click with your mouse on the picture, it will ask you to save it in a folder on your computer. Have a wonderful 4th of July! Glad to meet you, Laurie. Meeting a, I may say, kindred spirit is always an opportunity. So, cheers to more adventures and travel experiences. I am definitely gonna keep an eye on your blog. Thanks Sony, I love reading other people’s experiences. Gives me more travel ideas too 🙂 Have a great weekend! I was reading your Groundhog day blog. I think you really captured the essence of the celebration. One correction. Richard Henzel did not appear at the 2015 event since he was stuck in Chicago snow. Maybe I didn’t hear that. We were in the back of the room. Thanks for your comment. I have not read the post in awhile, you are the first to mention this. I deleted the sentence. Have a great Groundhog Day! Hi Laurie, this is Kelvin Tam from Hong Kong. 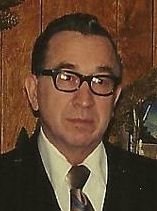 I was a student of your grandpa, the beloved late Prof Norman Braton. Would like to contact you to know more about Norm in his later days. Please contact me at kelvinkwtam@hotmail.com. Thank you!